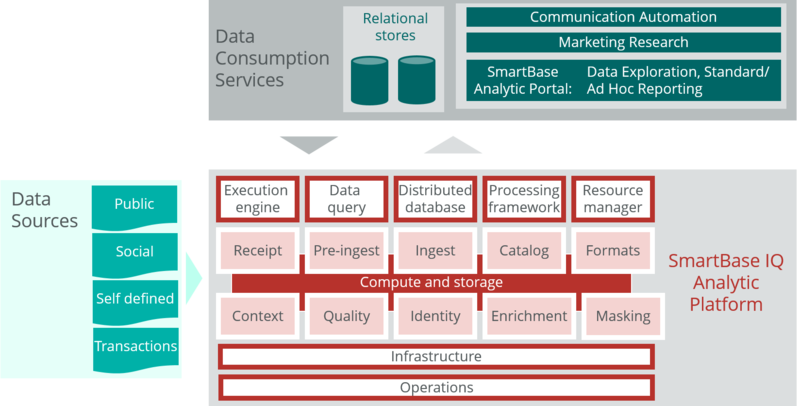 SmartBase IQ Big Data Platform uses Hadoop technology to efficiently acquire, store, integrate, process and analyze a wide variety of data types and sources. Its data streaming capabilities allow you to analyze and act on real-time trends and patterns to provide a timely communication or enhanced service. Our clients are able to turn data into discovery and discovery into insight with our powerful big data platform as their foundation. What does leveraging data look like in real life? 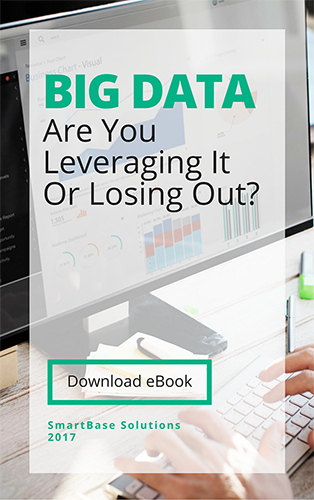 Download our Big Data eBook for big data success stories. While not everyone has "Big Data", this platform allows organizations to quickly scale their data up or down, growing as you grow. The benefit of a big data technology is the integration of all data sources, regardless of type or size.